Head to Head: Do we need to be more careful with micro-influencers? Head to Head: Do we need to be wary of micro-influencers? In this series, Mumbrella invites the industry's senior PR professionals to share their opposing views on the industry's biggest issues. This week, Red Agency's Martin Harkin goes head to head with The Remarkables' Natalie Giddings on whether or not the industry needs to be more careful with micro-influencers. With the rise of micro-influencers, everyday people are accruing more power and influence. As a result, some industry professionals are warning brands and consumers of the dangers of this new form of marketing. So, do we need to be more careful with micro-influencers? 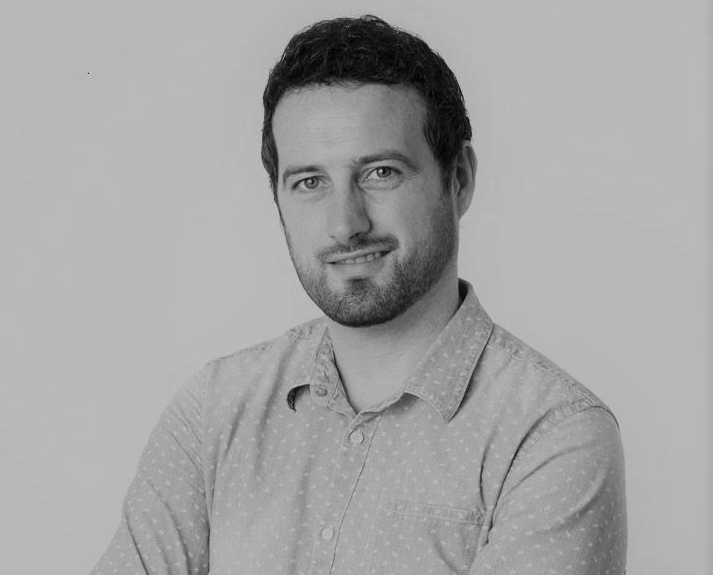 Red Agency’s head of influencer management, Martin Harkin, says yes, agencies and marketers need to create “safeguards” to ensure influencer and brand partnerships are legitimate and meaningful, while The Remarkables’ Natalie Giddings argues brands are simply misusing micro-influencers. In short, absolutely. The rise of micro-influencers has seen everyday people turn into powerful online brands in their own right and, as we wait for rules and regulations to catch up, the need for agencies and marketers to put safeguards in place that ensure partnerships are legitimate, meaningful and worthwhile is crucial. However, as with most things influencer marketing, when you dig a bit deeper the answer is not quite so straightforward. For instance, there is no clear definition of how we even define a micro-influencer – is it someone with less than 100k followers or less than 50k? How about those with 20k followers who have greater engagement rates than supposed macro-influencers? It is well past time for formally recognised definitions of the various influencer tiers and types, which will help determine key things like remuneration benchmarks for anyone playing in this field. Until then, definitions and budget splits will be decisions for agencies and brands to agree upon. One thing for certain is the micro-influencer category will continue to flourish as marketers seek to gain a more authentic connection with consumers. Research reveals that eight in 10 consumers are highly likely to follow a micro-influencer’s recommendation, while 94 percent believe they are more credible, believable and knowledgeable than the general population. Consumers often feel a closer connection with micros, consequently they can easily identify an inauthentic post that comes from a lazy or inauthentic brand connection. Therefore, to ensure that micro (and macro) influencers offer brands authenticity, we not only require further insight into their audience, but we also need a forum where unsavoury individuals and collaborations can be called out in public and controlled e.g. through ‘authenticity scores’ or ‘follower reviews’. There is also a big responsibility on us to conduct a thorough and proper evaluation of each influencer we consider using, including how they fit into the overall campaign strategy. Quality content is equally as crucial for a brand as authenticity – what becomes obvious quickly is those influencers who understand a brief and can create engaging content for their audience, compared to those who cannot and are simply riding a wave. Despite the surging growth in the category, the landscape is still relatively small, so the poorer ones can be identified and blacklisted quickly. Influencer marketing strategies and implementation have well and truly grown up and evolved over the past few years – now it is time for measures of authenticity, value, safety and regulation to do the same. Micro-influencers are here to stay – we need to do our part to ensure we all get the most out of this growing type of advocacy. You may have heard grumblings around the use of micro-influencers from the CommsCon last week. While others are suggesting “micro influencers are the future of online advertising”. So I’d like to clear the air and provide some perspective based on our experience. Many brands we’ve spoken to have tried some form of this activity and in the past and can be disappointed. But from my experience, it is often more of a case of a misapplication. The stories we are mostly hearing is often a brands first step into influencers marketing is trialling a micro-influencers platform. But thinking you’ve ticked the influencer marketing box off the list with a mass call out, is the biggest mistake and missed opportunity. The idea is to leverage an army of real people with smaller audiences rather than high profile influencers. The key is to be able to access large numbers at once to create scale you need to have an impact. To do this, the program often needs some form of mass-briefing and recruit platform or technology to be able to communicate with such a large pool of people, so managing the activity doesn’t spin out of control. Where you might work with five to ten influencers with 50K-1M followers, you would access 30, 40 or 60 influencers with an average of 5,000+ audiences. A large volume of once-off posts from a large group of random people is not the correct vehicle for brand recognition if used in isolation. And from a branding purist point of view, the content that comes back isn’t going to tick all of the usual style guide boxes either. Instead, micro-influencers’ role should be to drive frequency or halo activity around more strategic activity with higher profile, professional content creators. A great influencer marketing strategy should incorporate a number of layers. Like you have a marketing mix, you should have an influencer mix. This should include longer-term partnerships, across multiple social channels and formats in a carefully crafted plan. @Martin, where is the research from that you reference in your comments? I’d be interested to hear where these statistic come from and the source. Also very interested to see where this research/reference has come from. I would also suggest that as an influencer, that it is very important to only work with brands where there is an absolute fit. One that you would recommend to your closest friends and families. It takes a long time, money and hard work to build a personal brand and influence. Who you work with can ruin this in a heartbeat. completely agree Julie – this always makes the greatest content and yields the best results. Most micro-influencers WORK FOR FREE. Send them a $5 product and they will post like they got paid $2,000. It’s because they like to pretend they are influencers because influencers get brand deals, right? And the PR clients eat it up because all they look at is the followers. Newer research is showing that micro-influencers actually don’t move the needle on awareness or sales like regular macro-influencers or mega-influencers. Can you please share some of this research?